How To Convince Your Husband That The Law Of Attraction Is Real. 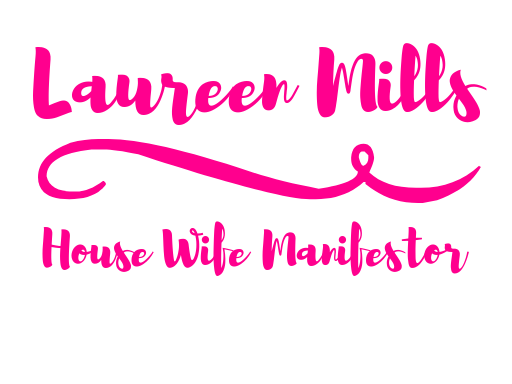 January 16, 2019 January 16, 2019 laureenmills1 Comment on How To Convince Your Husband That The Law Of Attraction Is Real. The most disheartening feeling is when someone close dismisses your beliefs about life. I live, breathe and preach the law of attraction, it’s my passion and a huge part of who I am. But, I have a very stubborn husband who isn’t always on the same wave length as me..
He’s convinced that the law of attraction is some kind of ‘woo woo’ fairy magic, and only patchouli wearing hippies believe in such nonsense. Although he may not fully understand it, I do want to share some tips that have helped get my opinions and beliefs across. Do you have a loved one that doesn’t believe in the Law Of Attraction? This post is for you! So buckle up, I’ve got some really great info to share! Just a bit of a disclaimer, I love my husband and this post isn’t about proving a point, it’s about helping others get a clearer understanding of this universal law. This is why it’s so important to understand the law of free will. You cannot expect everyone to be in the same boat as you, no matter how close you are to that person. Everyone has their own opinions and thoughts, whether they maybe true or false. So If you’re banging your head against the wall because your husband doesn’t get it, you need to realize that everyone is entitled to their opinion. That being said, if you feel like you’re close to convincing him, I suggest you read on…. Male vs female energy is very real. Male energy is usually very analytical and usually built on logic. They believe in facts and statistics, they usually love to believe what they can physically see. This is why it’s sometimes hard to convince them about the law of attraction. Where is a female energy is more right sided, very imaginative and creative. Not saying men aren’t, but us females have more of a divine energy that males can’t always tune into. I looked up fighters who believed in the law of attraction, and to no real surprise I found some very famous names who preach this belief. I came across this really inspiring video of an interview he did, it even gave me the chills, I’ll leave a link below if you want to check it out. Sometimes a male just needs to hear it from another male, look into your partner’s passions or hobbies and look up some LOA videos that relate. If you have partner who is very left brained and mathematical like mine is, then perhaps you should introduce them to Quantum Mechanics . Quantum mechanics is a part of physics that tells us how atoms and electromagnetic waves work, it’s about the science behind the energetic frequencies of everything. I’m not too good with the science part, but it does tie with the law of attraction, here’s a great video that shares a more logical and in depth perspective. You know the law of attraction is real, but others may think otherwise. It’s important you understand that as frustrating as it may be, everyone is entitled to free will. My best piece of advice would be to get on their level, when I showed my husband the Conor Mcregor video it really changed his perspective. Think outside the box, but if it becomes too overwhelming don’t let it interfere with your own energies!